With the impending launch of Super Mario Run, there's been a veritable explosion of coverage across the internet as Nintendo has been aggressively promoting the timed iOS exclusive. Fans will be pleased to hear that it isn't going the route of microtransactions or free to play, as is popular in the mobile market, but will be centered around paying a one time fee that gives you access to the full game. When we first started talking about bringing Nintendo games and Mario to iPhone, we talked a lot about what we would do from a monetization standpoint and debated this even with Mr. Iwata back in those days (Satoru Iwata was CEO of Nintendo until his death in 2015). Certainly there are a lot of different ways that you can monetize a game. In Japan there's a mechanic that's referred to as "gacha," where you keep spending small amounts for a raffle or lottery to get rare items. There are other ways that you can charge people repeatedly to get money. And there are games that rely on a very small number of people who pay a lot of money and the rest of the players play for free. But we looked at who a traditional Nintendo game player and consumer was, and we feel that in our case with a lot of our products we see parents buying the game for their kids. In that sense, we felt pretty strongly that we needed to have a form of monetization where you would simply pay once and be able to play as much as you like. That was important for Nintendo and our audience. You don't see a lot of [mobile] games that are set up that way these days, but we felt it was important for us to establish that for this game. What do you think? Did Nintendo make the right choice? 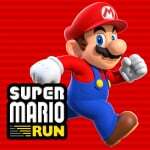 Will you get Super Mario Run? Drop us a comment in the section below. I like the one time payment, but I still think 10 dollars is a bit too much. I think they're trying to change peoples perceptions of what mobile games pricing should be. Just wish they would have stuck by his wish's. There are some people still complaining about $10 mobile games. Well, my students did when I explained about Super Mario Run for IOs. They think it's too expensive (I know, they haven't work yet). It's not going to go viral because of its pricing! Nintendo should be using the mobile platform as a driving force to get more people to buy their home and portable consoles. The current pricing will probably mean the only people that buy it are already Nintendo fans. They really do make some strange decisions. I have never been so uninterested in a Super Mario game before. @SanderEvers I wasn't aware of this. If this was the case he went back on his word. Though to be honest. I really don't see that happening. Then again i could be wrong. Money talks after all. Its a decent price seeing what we pay for the so called free to play games (pay to win) and to play advertisement free. @SLIGEACH_EIRE That was my way of thinking and I think theyre quite right to be honest. It helps to cement Nintendo's reputation as trustworthy for parents of kids of all ages. While $10 seems high for most at first, many other games people spend WAY more than $10 on over time. I think it's a decent price, Nintendo seems to really polish this game up and might just made the best runner game. They keep Mario from being too cheap, yet not to be point of competing with the full game. I hope it will be a success. Ready to drop that ten in a week. I enjoyed reading all of the opinions here. I thought i knew what my opinion was until i got to the end of these comments. Now i am not so sure anymore lol. Will be interesting to see what happens. I think ultimately the switch will be fed heaps of customers of all ages by mario run. They always look at the experience and monetize on that. It's one of the key things I like about Nintendo. Others know how to monetize and just squeeze an experience in there. You always recognize a level of care in what Nintendo does. This is exactly what I expect from them. The "you'd pay for internet connection" is a stretch. Why don't you include electric bills as well since it eats up battery and you need to recharge. It also requires a phone or a tablet so add that to the cost. That said I can understand the requirement for internet connection is frustrating to others. It's a fair price for a high quality game. I'm glad Nintendo took this route. Nobody would bat an eye if Nintendo released a budget $10 Mario game on the eShop; I see no reason why it should differ here. As soon as this is on Android, I'm getting it. @Moms-Meowth Actually you're quote is not wrong, only the context. Iwata said that regarding the port of classic games like Super mario Bros for NES on smartphone, simple lazy ports on touch screens of iconic games requiring phisical button would have been a quick easy cash and everyone in that period was expecting Nintendo to do that, but Iwata refused for the sake of gameplay's quality and Nintendo's name. That's why he pushed Nintendo in the DeNA deal and the making of Super Mario Run. Nintendo is still following his wishes, even the price of Super mario Run proves it as they are aiming at a fair deal for all their gamers instead then try to cash as much as they can with the "keep paying" style all smartphone games use nowaday. It's a better model than the one Square-Enix follows for their ports. You may not know if Final Fantasy games will feel good to play on a touch screen, so it would be convenient to play the game first, then at a certain point be given the option to pay to unlock the rest of the game. Unfortunately, you have to pay first to find out, and the price does not make that decision any easier. @Anti-Matter you might not like this game because a couple characters have sad or mad faces, and there's even a spoooooky ghost! If mom and dad won't buy it for ya, go get a job. $10 is pebbles. I prefer it this way, and I think the price is fair. @SanderEvers I also have to pay for all of the zucchinis I eat to fuel my living and breathing body, as I potentially play Super Mario Run, should I be complaining about that too? That's how you do it, indeed. Have a cookie. $10 for a quality game like THIS, is nothing. It's not yet another indie shovelware game. Rather pay for a full game, than having to buy coins to keep on playing, which would make the game WAAAAAAY more expensive in the end. And if you can pay hundreds of dollars for a new phone every year, you sure as hell can afford to pay $10 dollars for a game. I think this is the best way to go. Like games on dedicated consoles. 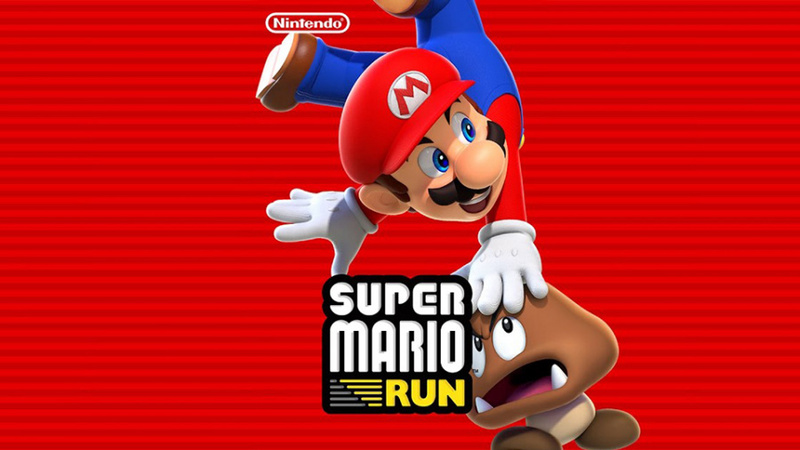 Given the games intention to capture a broader audience I wasn't going to get Mario Run. But after reading the NL preview I'm considering it. I shouldn't be surprised that it would have more depth and reply value than the typical runner game. This is Nintendo after all. I'll wait for the review. I'm not too bothered about paying $10 if it's going to be a good game. But I would have preferred if the game had a free demo (perhaps with limited use like the ones on the eShop) so you could decide for yourself. If you like the game, then pay the one-off fee to unlock the full game! @Tom41 I'm pretty sure that's exactly what you can do. There's a free version with three levels to play then you can pay the £9 and unlock the whole thing! I'm sure that's what Reggie said on Jimmy Fallon the other night. I'll be the first to say that I spend 10 euros on obscure and probably bad eshop games but I would never spend a dime on a mobile game because I know that in the end most of these games are "pay to win" and games in general just feel better on a dedicated gaming device. Not even Miitomo or Pokemon GO convinced me to give out some money, however if Super Mario Run gets good reviews i might be interested and actually buy it. $10? People can't afford $10? I've paid for apps in the past. People will happily spend money on inapp purchases but can't pay to unlock the full game once and that is all you pay? @SanderEvers This is a smartphone game not a 3DS. If you don't have connection on your phone in 2016 that's a you problem. >"$10 for an eshop game? what a great deal!" >"$10 for a mobile game? WITCHCRAFT BAN THIS SICK FILTH"
@SanderEvers There are plenty of free hotspots these days or you just play home on your WiFi if you can't afford a data bundle. These games in general use less data then streaming Music via Spotify for example. And also, Nintendo doesn't earn anything from you using data on Your mobile network. That is Your mobile provider! So your statement against Nintendo is idiotic at best! That is why I have grown to hate Mobile games With a passion these days, as almost all of them are a money grabbing scam! So I am very happy with Nintendo's decision to NOT go that route with their iconic titles. Why are people complaining. It's only half the price of new super Mario bros u + new super luigi u.
I will have to wait and see how the 'always online' thing works out as I would be most likely to play this game on the train to work and it travels through the countryside with network cutting in and out. There will be no playing on the Tube though sadly. I like the model. You know how much you're paying, and you won't have ads about microtransactions every five minutes. Plus, $10 for an app is low. I've paid up $7, or $8 for productivity apps and it just means "skipping" my morning coffee for a couple of days and drinking instant coffee at the office. Thank you. This works for me. I couldn't see Nintendo following the trend of forcing commercials or throwing banner ads on the screen. @SanderEvers You're basically saying everything should be free because you're already paying for it somewhere else. That isn't how anything works. You don't get free gas because you already paid for a car. You can't expect all apps to be free-to-play just because you had to pay for your phone and the internet. I don't know if you know this, but the companies that make your phone and give you internet aren't the same ones that make the apps. The app developers still expect to make a profit out of the work they put in to it. If everything worked how you said it does, we should just have a one time 'life' cost of $5 million. Then everything is free to use and you can happily download the $10 app that you complained about being so expensive. While I much prefer the pay-once model... I am not the typical mobile customer... I would never buy/play a game that required microtransactions, but I am surprised Nintendo didn't split the game into two parts for $4.99 each. "Nintendo games and Mario to iPhone"
It's my opinion, but if $10 is a high price...don't buy it! I still see it coming to the Switch or 3DS over time...may be a year or so, but most of the mobile games end up coming to consoles...look at the PS4 or XBONE stores...it doesn't take long for the developers to want a wider audience (meaning more money in their wallets) and expand it, and even if it's not the exact same game coming to Switch, it will be the same pricing point and the same kind of play through. Also, if you have to be connected to the internet to play this game, it also means that when the game gets older (about 5 years into it), you may not be able to play it at all...once the server for the game goes down, it won't matter if you have internet or not, you'll lose it...same goes with the games on Mobile or Facebook that you spend more money on micro transactions...when servers go down, the game is useless and that money that was put into it...gone. This is one reason I don't purchase anything that REQUIRES internet access in order to play it. @rjejr I think on the Jimmy Fallon show, when Reggie was showing the game off, he said you can play it on the tablets? Correct me if I'm wrong or didn't understand it, because I really don't know anything about cellphones or care less about them...nor do I even own one or want one...but I thought I heard Reggie say it on there. I still feel bad for people complaining about mobile games and/or having to pay $10 for them and/or having to handle (or ignore) micro-transactions. You're just denying yourself some solid entertainment options based on bizarre prejudices. The world moves on. @JLPick Yes, it can be played on some, but I don't think all, of the iPads. My point was if he wanted to talk about smartphones but not talk about tablets then he should say "smartphones", not iPhones, b/c iPhones are not the only smartphones there are. If he wants to include tablets when talking then he can say "mobile devices". It's probably easier for him to just say iPhone but why give Apple free marketing and at the same time risk alienating your potential Android customers? I'm just going to start spamming this in all of the SMR articles. Maybe somebody will find it useful, and maybe some super effective person can figure out similar Android specs. iPhone 5s, iPhone 6, iPhone 6 Plus, iPhone 6s, iPhone 6s Plus, iPhone 7, iPhone 7 Plus. iPad Air, iPad Air 2, iPad Pro 9.7in, iPad Pro 12.9in. iPad mini 3, iPad mini 4. I think they made the right decision. I will be purchasing the game immediately after it becomes available. @rjejr thanks. Much needed info. $9.99 is a perfectly reasonable price for a Nintendo developed game. What people don't seem to realize is that most free to play games are designed based around the idea of microtransactions and the only way to get the full game experience is to continuously pay for those transactions. The incredibly appealing thing about being able to pay $9.99 and unlock the complete game is that you get just that! The complete game for $9.99! And the game is designed so that there is a complete game package for a very small amount of money. It is not structured with the idea that small transactions make up the bulk of the mechanics or awards. So the designer has the freedom to make a compelling experience with no restrictions. With all due respect @SanderEvers, I feel like your fiddling with semantics to try and prove a point. And I get that it might be a frustration for some. But if playing a mobile game that requires a constant connection is a problem, then you were never really the target customer. I think at this point, you know what your signing up for when consuming mobile media. I wish Nintendo had gone with a dual approach: pay a one-in-a lifetime fee of 10 bucks or free-to-play, with some minor pay-to-play options, just on order to make more revenue for Nintendo. I think $10 is fair for a Nintendo game. They just need to make it clear why that's justified (ie, enough levels). The internet requirement is odd since people won't be able to play commuting on subways or airplanes when they may want to play. Also, for me, I have an iPad and an Android phone. I'd like to get the game now but don't want to pay twice. So, I may wait for an Android release. Too bad there isn't a cross-buy option. I'd pay $15 for access to both platforms. If this were on the eShop for WiiU or DS and only 10 bucks, everyone would be losing their damned minds. Charge somebody $10 for a full fledged, albeit simple game, and suddenly it's "too much" because it's on the phone instead. Ya'll's logic makes no sense. Games are not cheap to make. This isn't some flash game that was made in a dude's basement to make a few bucks on the side as a hobby. This is a full fledged product with real values made by a corporation of thousands of people that needs to make a profit for it's investors. It's more than a reasonable price for a game, regardless of platform. @UmbreonsPapa Not sure I can agree with that. I doubt Nintendo wants to potentially lose customers based on factors like where they live, if they commute, etc. In all seriousness, I'm getting this. The mechanics look similar to Leap Day, which is one of the only good mobile games. I'm not getting a full sense of why this wouldn't be a game that you download once, then just have available on your device. What about it requires a connection, posting scores? That never interests me that much, I'd much rather have the ability to bring it up on the iPad whenever/wherever than exchange play data online. What's the point of such an annoying limitation. It's not a truly mobile game if you can't take it with you and play it while somewhere that doesn't have any Wi Fi access. Useless aggravating restriction. Why? I don't mind the asking price, but only if that price means you then OWN a copy to access, without it being on a "digital leash". @UK-Nintendo Nintendo should not be targeting Nintendo fans, because Nintendo fans already buy their console/handheld Mario games. Besides, most of us true Nintendo fans have had more than enough of these 2D Mario games. If they really want to make a profit from this, they should be targeting the casuals. And the thing is, even though there are no micro-transactions, casuals will look at that 10 dollar price tag, think "Nope, too expensive", and look for another game to play. True Nintendo fans would know it was a good game, but casuals won't know the difference. They'll just think it's some overpriced Mario game, especially since they're used to mobile games being garbage. Assuming Nintendo makes it clear that there are no micro-transactions and that the first part of the game is free for people to try out, the 10 dollar price tag might work. I still think it's just above that sweet spot, though. 7 or 8 would have been better IMO. @TG1 Fair point. Though, I'm sure if they could, they would create a scenario that worked for everyone. I don't know. I personally have no problem with it. And it's not about having the privilege of having a data connection all the time or unlimited data (I certainly don't have an unlimited plan). I play Miitomo, Angry Birds Friends, Pokemon Go and Words with Friends. All mobile games that require a constant connection to play. But maybe its my playing habits that make it fine for me. I play mobile games at home, in the doctor's waiting room, in the checkout line and a host of other places outside of a bus or train ride. @KirbyTheVampire I agree. I think they should have built 32 courses four "quests" consisting of 8 courses each. These should have retailed for $3 for each quest, with a $10 "buy them all" option. This pricing strategy worked great for me on the criminally underrated "Rusty's Real Deal Baseball." That said, $3 gets you a damn near full console game package on the Rayman Run games on the app store (which curiously seem to play as good or better than Mario Run). @SLIGEACH_EIRE And they are free to try, but it's still way too much for what you get. Nintendo have been aggressively gouging for games on the virtual console and that tradition is apparently going to continue on mobile. Damn shame too. The one time payment was definitely the right choice. I doubt that I'll get this game, but it's not because of the price, I never liked platform's to begin with and that includes Mario ones. Even though I agree with their idea and price personally, I think it will hinder the game from taking off. Pokemon GO would never have been so viral if there was a $10 price tag attached. Internet always kinda took a dump on the play anywhere angle of this. I really wish I knew how Nintendo works psychologically, they have great ideas but when they develop them sometimes they just screw the whole process with one or two stupid decisions. Meh. If I'm spending $10 on a mobile game, it'll be on something with actual value. Still gotta finish Agarest. The pricing seems reasonable to me, in comparison to their normal stuff. @ittleamber Don't be so modest. They buy those stupid phones every year. This is how they get the Wii market back. Switch is how they keep the Wii U and 3DS market going. I think this will be a big success for them. I think it would have been a bigger success at $5. @JLPick I think it will come to the Switch, possibly. But I'm not sure that the mechanics of it will translate that will to a 3ds. Would you use the stylus or do they just allow you to use the controls conventionally? Will the Switch have a screen that allows this to work? As for the pricing- i think $10 is fair, as long as there is a decent amount of content. If I get it, it will have to be on my iPad, as i have an Android phone. I have a ton of Mario games between what I have on 3ds, Wii U and virtual console- so I don't think I will be in a rush to get it. @Muddy_4_Ever Yeah, having the pricing structure similar to Street Pass would have been a good way to expose people to the game (first "quest" free), then they could charge for the next few- $10-$12 for all or $3-$4 each. @rjejr why give Apple free marketing? I suspect it's not free. Apple had Nintendo's unveiling at one of their own events and it will be exclusive for a little while — long enough to market the game as being for iphones rather than smartphones. @cracka Constructive criticism of Nintendo's price choice and complaining are two different things. I personally couldn't care less for yet another 2D Mario game, no matter the price. That's nice. £7.99 or $10 for everything is reasonable in my opinion. Plus it makes the leaderboards fairer and actually based on skill. I mean whats the point of going for the high scores legitimately if there was a cash shop with items that increase your score or make it easier to increase your score? Bunch of people complaining about always online when they 've probably not been away from internet access for a significant period for years. Lord forbid you can safely assume that a person willing to drop hundreds of pounds on the typical iOS device also has wifi access or a 3g or better plan. Those 500m+ downloads of pokemon go all had to have internet access outside somehow. I think they'll be fine. The game seems to have quite a bit of depth than your typical runner/flappy bird affair. And remember folk this game is meant as literally a touch an go experience to pass a little time on the train or whatever. If you're looking at this as a definitive Mario extravaganza then I'm afraid you've missed a large point of gaming as a hobby. There's wasting a tiny/little/fair amount/ or great amount of time. Choose the game that best fits your time table accordingly. What, they're actually charging money for this BS? It's not even a full Mario game (no manual running etc), that's what makes this a perfect example for a F2P title. While I have zero interest in mobile gaming, I think it's a good move to pay once and get a full game. @SanderEvers I'm not sure what I'm supposed to 'get' if all you'll communicante to me is a rhetorical question! Please explain, I hope your day is swell. @SanderEvers If you're referring to 'getting' your original point (you didn't specify), I get it. You don't pay for an internet connection. Quite honestly, that's a highly specific problem; the majority of smartphone/ipad users live in a household with an internet connection. Those who don't are accessing free wifi hotspots daily. Sorry, you're an anomaly. I sympathize with you, an internet connection is rather expensive! I'd personally rather have that 1st over a data plan though. It's a contentious point. This seems reasonable for a game-oriented Nintendo mobile game; pay once, you have the game. Done! The internet requisite is kind of a non-issue; if you're in a situation where you can't use/afford the internet then you're probably not too concerned about some mobile game. One time payment is okay, but the price depends on the content. What I've seen, the World Tour (main mode?) seems to have only 24 levels! Of course there's other modes, but the price seems a couple of euros higher than I'd like for that amount of levels. Got to try this out at the local mall. Good, clean casual fun for me and the boy. I'll be buying the full game when it launches. It seemed to stutter several times during play, both on iPhone 7 and the iPad. Hope it runs okay on my iPhone 6. Put down the pitchforks people. From the Jimmy Fallon demo, Reggie Fils-Aime said that you get several levels for free to try out the game. You pay $9.99 if you like what you see and want to unlock the rest of the game. After Pokemon Shuffle, I am exceptionally disgruntled with games that I cannot buy all the features forever. $10 is a bit much, but at least I will consider getting this game now. If this was a free-to-play model I would say "No Way!" I also definitely think it's important to make the first mobile Mario title priced this way. It sets a good precedent that the Nintendo mobile games should have high enough quality that people are willing to purchase them outright. It's not really a lie on Nintendo's part because it's assumed in the statement that you have the necessary facilities to actually play the game. They don't bother clarifying all the individual components required to physically play the game, and for good reason. This would apply to a power source, the phone itself, having the right KIND of phone, internet connection etc. Your same gripe would also apply to having an android phone, for example, but Nintendo can hardly be held to account for you not having the correct hardware when they say that you can play the game all you want for $9.99. It's about how the payment for the game is structured so they're clearly talking about the game in isolation of your specific circumstance. @SanderEvers For a Nintendo product, I understand this complaint. For me, also being a mobile, PC, and X1/PS4 owner, I'm used to this practice these days. You can't, for example, play Destiny if your internet is out. What will be truly annoying here for Nintendo fans will be tablet players who play on commutes. Less likely to have a data plan on a tablet. The price of this concerns me. I'll get it, but, I feel like it doesn't look at the competition. For example, the Rayman games on mobile range from $3 to free. Two of them actually have almost the exact same design philosophy we are seeing in Super Mario Run. Then again... Squenix and Capcom also charge whatever they want and it seems to work for them. It's possible that the pedigree and name recognition will pull the numbers they want. I don't think these companies need their mobile apps to do Angry Birds numbers because these are side ventures and not their bread and butter like it is for mobile-focused developers.